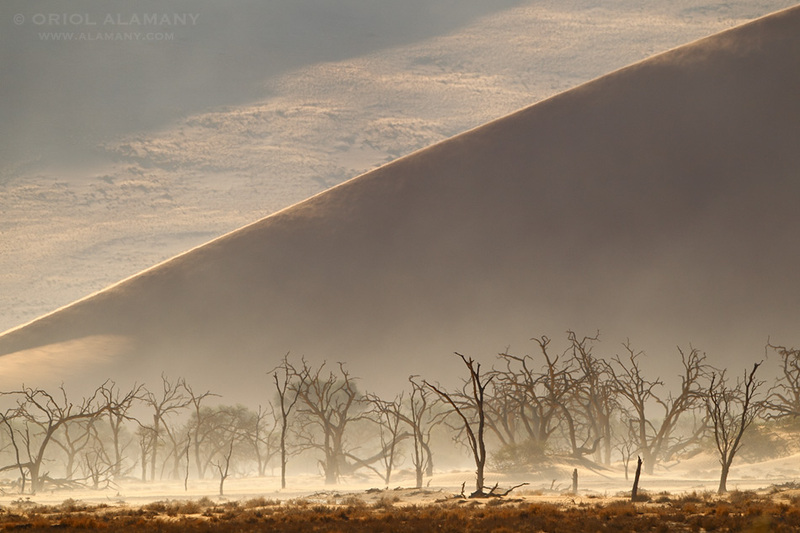 While I was traveling around Namibia last autumn, one afternoon the high temperatures caused a violent sandstorm in the desert of the Namib-Naukluft National Park. The telephoto lens compresses the perspective and makes a graphic image. A spectacular photograph, is as if for a moment the warm desert air stroking you face... Great!! !